Imagine a world where pollution is a non-issue, cities are pristine, healthy environments to live in, and little to no entanglements from discarded trash injures wildlife or clogs the oceans. In Sweden, this is almost a reality, yet it’s causing a paradoxical predicament for the recycle-happy country that relies on waste to heat and provide electricity to hundreds of thousands of homes. The Scandinavian nation of more than 9.5 million citizens has run out of garbage; while this is a positive – almost enviable – predicament for a country to be facing, Sweden now has to search for rubbish outside of its borders to generate its waste-to-energy incineration program. It's namely Norway officials who are now shipping in 80,000 tons of refuse annually to fuel the country with outside waste. The population’s remarkable pertinacious recycling habits are inspiration for other garbage-bloated countries where the idea of empty landfills is scarce. In fact, only 4 percent of all waste in Sweden is land-filled, a big win for the future of sustainable living. 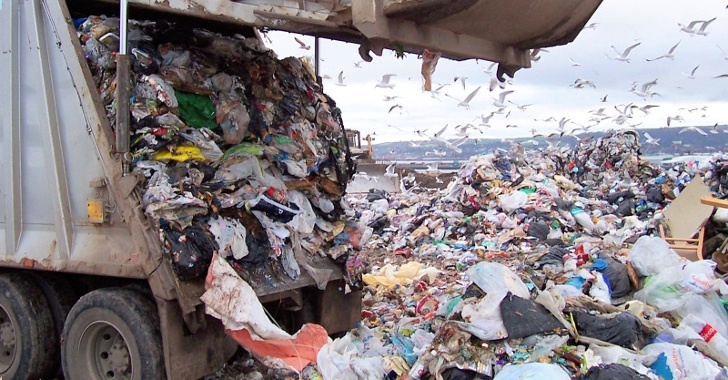 By using its two million tons of waste as energy and scrapping for more outside of its borders, this country is shown in international comparisons to be the global leader in recovering energy in waste. Go Sweden. Public Radio International has the whole story. This (albeit short-term) solution is even highly beneficial for the Scandinavian country; Norway pays Sweden to take its excess waste, Sweden burns it for heat and electricity, and the ashes remaining from the incineration process, filled with highly polluting dioxins, are returned back to Norway and land filled. Catarina Ostland, senior advisor for the Swedish Environmental Protection Agency, suggests that Norway may not be the perfect partner for the trash import-export scheme, however. “I hope that instead we will get the waste from Italy or from Romania or Bulgaria, or the Baltic countries because they landfill a lot in these countries” she tells PRI. “They don’t have any incineration plants or recycling plants, so they need to find a solution for their waste”. There’s definitely something to be said about being ‘green’. Regardless of its sourcing, hopefully Sweden’s impeccable job of reducing its carbon footprint may serve as an example to other areas of the world that have more than enough trash to utilize and put to sustainable use. A Billboard That Creates Drinkable Water Out of Thin Air!